For some couples, the decision to get divorced is mutual. In other cases, only one spouse wants out of the marriage or the couple disagrees on one or more issues related to the divorce, such as child support or custody. In New York, these are known as contested divorces and will be decided, in whole or in part, by a judge. When one spouse wants out of the marriage and the other spouse does not, the objecting spouse will likely contest the divorce requiring the matter to be decided by a judge. To file for divorce in New York, the residency requirement must first be met in one of three ways: either spouse must have lived in the state for at least two years prior to filing for divorce; either spouse lived in New York for at least one year prior to filing and the marriage either took place in New York, the couple lived in the state during the marriage or the grounds for divorce occurred in the state; or the spouses are current residents of the state and the reason for divorce occurred in New York. To start a contested divorce in New York, you must first complete a complaint form and request an index number from the clerk of court. File the complaint with the New York Supreme Court in your county and state your grounds for divorce. Indicate how you would like your marital property to be divided, child support and custody handled, and whether you want spousal support and how much. The complaint, along with a summons, must be served on your spouse by someone at least 18 years of age. The non-filing spouse then has 20 days in which to respond to each claim made in the complaint. This will tell the court where disagreement exists and indicate any areas of agreement. After your spouse has responded to the complaint, the matter proceeds to a preliminary conference. This is accomplished by filing a request for judicial intervention within 45 days of service, or within 120 days of service if both parties file a notice of no necessity with the court. The court will schedule a preliminary conference to be held within an additional 45 days from the date the matter is assigned to a judge. The parties must disclose financial information before the conference. The judge will rule on requests for temporary orders and set a discovery schedule. 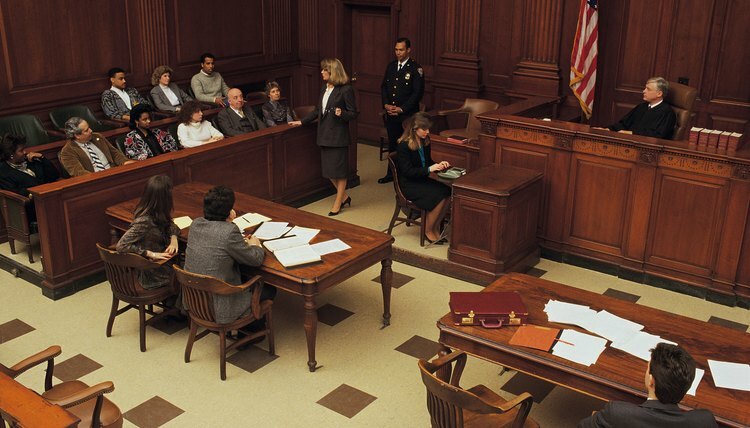 During the discovery process, the parties exchange evidence they plan to use at trial, including witness lists and documents. In New York, divorcing parties are free to reach agreements without court intervention. But if no common ground can be found on all or some of the divorce issues, a judge will resolve the matters after a trial. The process is often more time-consuming than uncontested divorces because the court can schedule the trial up to six months after the date of the preliminary conference. Taking all of the time periods together, a contested divorce can take more than a year to become finalized. An uncontested divorce in the state of Georgia requires the agreement of both spouses as to property division, spousal and child support, and visitation. Once both spouses sign off on the Martial Settlement Agreement, the judge may approve the divorce without any further action by the parties. If a final hearing is required, only one spouse appears before the judge to obtain the judge's signature on the divorce decree, after which the divorce is final.